Apologies for the lack of updates on this blog, I've been running around all over the place for the past two days. Make sure to follow our Twitter for frequent (but short) updates. The past two days have been extremely exciting. Our Formula Sun Grand Grix started off rather poorly. On the morning of the race start, we noticed some oddities in our battery pack readings. Upon opening the pack, we noticed a battery cell was bulging rather severely. We were able to remove the cell and contain it without incident, and successfully welded a new cell into the pack while under the scrutiny of the inspectors. However, we missed the first 87 minutes of driving in the process. Once we got out on the track, however, our drivers reported that Centaurus 2 drove like a dream; far better than C1 did according to those of them who are familiar with the 2008 vehicle. There was a heart-stopping moment early in the day, when our driver Slavo got to experience what happens when the rear tire blows in the middle of a turn. The car spun 180 degrees around before stopping. Slavo was unharmed; he hopped right out and pushed the car off the track to safety as we drove a tire change crew around to his location with a track official. Although I never hoped to empirically test it, the incident was proof that our math was correct, the car will slide sideways instead of rolling over. Aside from the spin, our first day was fairly uneventful. We turned laps at a steady, even pace for the most part, stopping for approximately 45 minutes at one point due to heat concerns. We also allowed our driver Alex Tran to attempt a few "hot laps" at the end of the day, to push the limits of the car and see what it could do. I'm proud to say that Alex beat my 2008 lap record of two minutes and fourteen seconds by a single second, setting what I believe to be the new solar car lap record for the track at 2:13. At the end of the day, we had driven 105 laps, 5 laps more than we needed to qualify for ASC 2010. Jon, Slavo, and Gareth had all done more than the 25 minimum laps needed to qualify as a driver, and Alex only needed a few more. We finished the day in 4th place, behind Michigan, Bochum, and Calgary. No other teams behind us had yet completed their qualification laps, however. We'd spend more than two and a half hours off the track due to unforeseen issues, so we knew that we could do better. There were several things we noticed on the car that could be improved, so we made some modification to the fairings, taillights, and battery ventilation system overnight. This morning, no issues cropped up to prevent us from taking our place on the starting grid. As soon as we started driving, it became apparent that we were one of the fastest cars on the track today, if not the fastest. Over the course of the day, we matched Michigan lap for lap, and drove significantly faster than both Bochum and Calgary. Our day was essentially flawless until the last 15 minutes, when climbing temperatures forced us to pull of the track early. If it had not been for this, we would have been neck and neck with Michigan for the day. At the end of the 2nd day, we are in third place, 47.6 miles behind Bochum, and 28.9 miles ahead of Calgary. 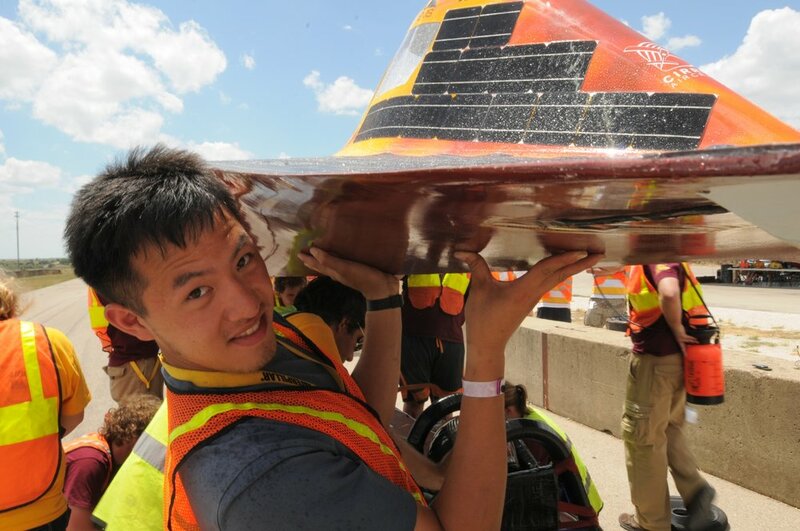 Of the 14 cars still in the event, Illinois State, UT Austin, Kentucky, and Oregon State have not yet qualified for the American Solar Challenge. Illinois and Austin are on pace to qualify tomorrow. Oregon has not yet made it onto the track, but has high hopes for tomorrow. Kentucky is the real heartbreak story; they sheered a front axle late in the day and are currently getting a spare machined. Hopefully they'll still manage to get into the main event. We have high hopes for the last day of qualifying. If all goes well, we may be able to sneak into 2nd place! 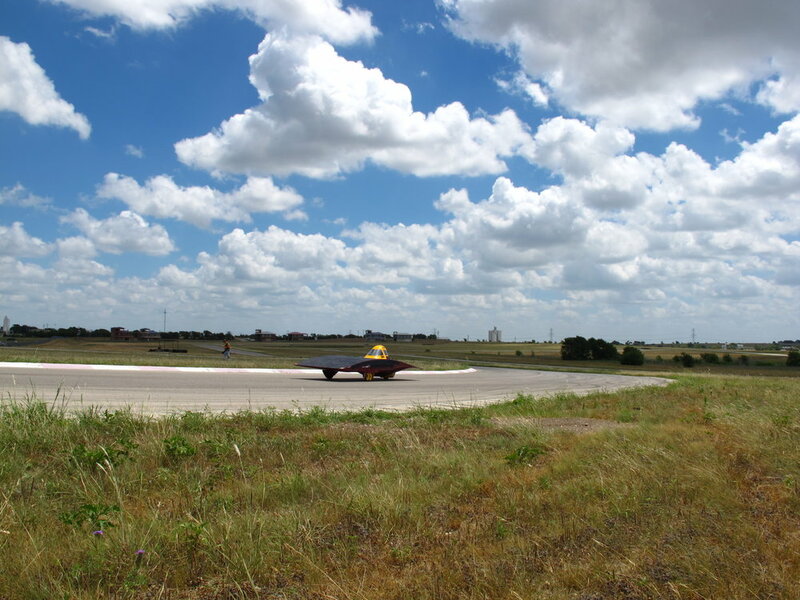 The start of the 2010 American Solar Challenge is almost here. Thanks for the update. 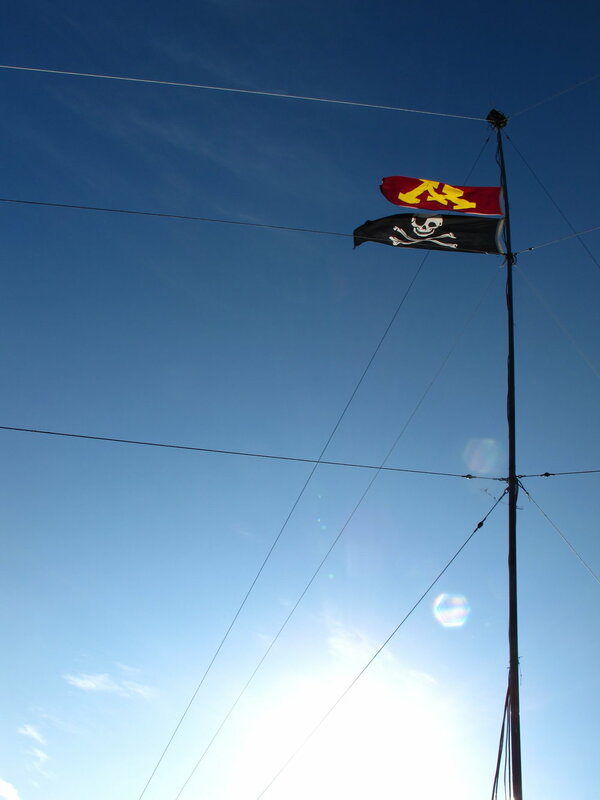 I am sharing your blog and twitter update with family and friends; we are all so impressed! All sounds great! See you in Normal.